GMOs in agriculture: Part of the solution or part of the problem? Genetically modified organisms or GMOs are formed by transferring genetic information and are not possible to be formed naturally. This includes the transfer of genes between taxonomically remote groups such as bacteria and animals or plants and animals. The methods used are varied and include modified natural vectors (i.e. viruses, bacterial plasmids) and the bombing of the cell nuclei with heavy metal nanoparticles covered with genetic material. 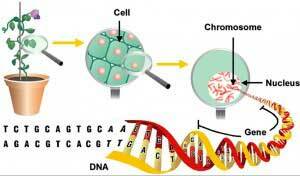 All cases include an important factor of chance on the point of insertion of the gene into the host genome. Most GMO crops have a gene that makes them resistant to the herbicide glyphosate such as soya and maize. Others carry a gene that makes the plant itself a potent insecticide factory of bacterial origin such as corn and cotton. A cursory look can make one believe that this does not introduce significant developments regarding the improvement done for centuries in plants and domesticated animals. Surprisingly, it was this superficial outlook, and not deeper studies, that led to the creation in 1992 of the so-called “principle of substantial equivalence” by the US Food and Drug Administration. GMOs are synthesised and developed in a very specific context: that of a high-input agriculture. This type of agriculture has sociological, economic, and environmental consequences that are not discussed here but can be summarized as environmental degeneration by erosion and deforestation, loss of soil fertility, and of natural balances in agro ecosystems; social destructuration through the desertification of the agricultural environment, and the energetic dependence on oil. In addition, the growing technological and economic power and political influence of firms capable of these developments has become a problem itself, determining how farmers should act in ways never seen before. The enormous power of these corporations allows them to influence the regulation of the seeds market in their favour, especially in ensuring that the systems for monitoring and analysing the possible collateral damage are on their side. As a result, only 10 companies control more than 60% of the seeds that are planted all over the world and it is obvious that their expectation is to get full control over every seed that is planted on the planet. This dark picture disqualifies the claim of these companies to showing itself as the key to the fight against world hunger. The transgenic techniques were born 30 years ago full of promises and possibilities. Early developments, such as the massive and inexpensive production of human insulin by transferring the corresponding gene to a bacterium, gave the industry the benefit of the confidence that the application of transgenic techniques would always bring good consequences. That confidence has been belied by the facts, and today it is not difficult to find technicians and scientists who see these companies, and their developments, as part of the problem rather than the solution. Editor’s note: This article was originally published in Spanish in Nueva Agricultura and the author shared this with Ecojesuit, along with its English translation. 1. Erik Millstone, Eric Brunner, Sue Mayer. “Beyond ‘Substantial Equivalence.’” Nature 401, (7 October 1999): pp 525-526. 2. Stanley WB Ewen, Arpad Pusztai. “Effect of Diets Containing Genetically modified potatoes expressing Galanthus nivalis lectin on rat small intestine.” Lancet 354, (16 October 1999): pp 1353-4. 3. Gilles-Eric Séralini, Emilie Clair, Robin Mesnage, Steeve Gress, Nicolas Defarge, Manuela Malatesta, Didier Hennequin, Joël Spiroux de Vendômois. “Long term toxicity of a Roundup herbicide and a Roundup-tolerant genetically modified maize.” Food and Chemical Toxicology, Volume 50, Issue 11, (November 2012): pp 4221-4231. 4. David Quist, Ignacio H Chapela. “Transgenic DNA introgressed into traditional maize landraces in Oaxaca, Mexico.” Nature, 414 (29 November 2001): pp 541-543. 5. Natalie Ferry, Angharad MR Gatehouse (eds). Environmental Impact of Genetically Modified Crops. Edited by Natalie Ferry and Angharad Gatehouse. CAB International 2009. 7. Julie Marc, Odile Mulner-Lorillon, Sandrine Boulben, Dorothée Hureau, Gaël Durand, and Robert Bellé. “Pesticide Roundup Provokes Cell Division Dysfunction at the Level of CDK1/Cyclin B Activation.” Chemical Research in Toxicology. 15, (2002): pp 326-331.